Central Park, Haworth01535 642329work ParkHaworth's Central Park is the perfect place to relax or go for a stroll. It's pretty flower garden, play area and bowls are popular with locals and visitors alike. Haworth Central Park was maintained the coveted Green Flag award since 2006. Green Flag is the national award for parks and green spaces in England and Wales and is a means of recognising the park as a high quality green space. The Friends of Haworth Park group are working to improve the park and have recently refurbished the band stand. Haworth's Central Park is the perfect place to relax or go for a stroll. 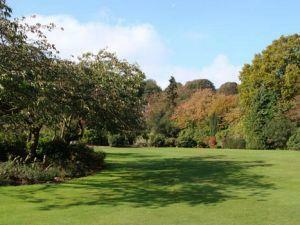 It's pretty flower garden, play area and bowls are popular with locals and visitors alike.